Tile & Grout Cleaning / Sealing – Amazingly Clean, Inc.
Just like the carpet needs to be shampooed eventually tile and grout lines will circum to the same fate and need to be professionally cleaned. 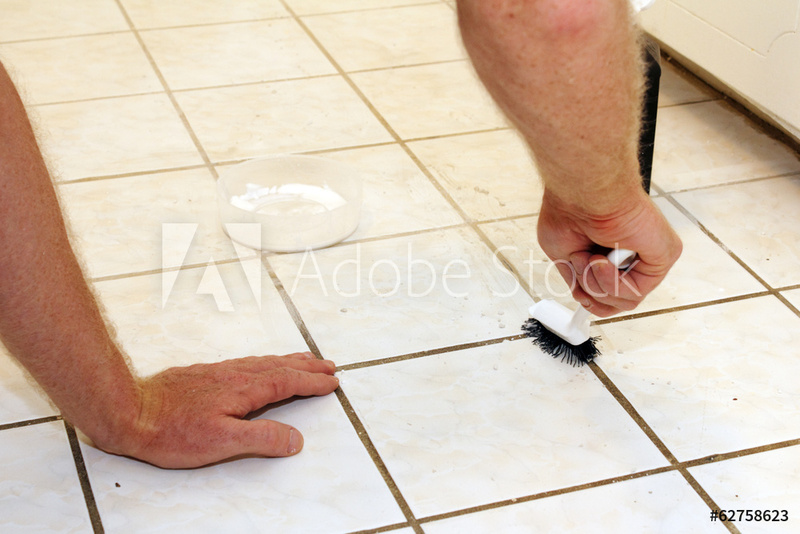 Tile and grout lines are the first surface to get dirty and the last surface to be cleaned. Most home owners and store fronts try to mop the surface only to find that the mop embeds residue into tile and grout even more. Have you taken it to the next step and used a tooth brush for the grout lines? It just doesn’t cut it! Am I right? So instead of having an unevenly clean floor “if clean at all” or damaging the grout lines using harsh acids, call us to do it right the first time. We use environmentally safe emulsifiers and have powerful truck-mounts that can professionally extract the dirt and grime from your grout lines. We can even keep it looking new for you after it’s sealed. Save your time and frustration by call us, so it can look as good as your amazingly clean carpets. The owner is an amazing young man. He has a strong commitment to providing excellent service and his work ethic is truly exemplary. I retained Amazing Clean, Inc. to clean the carpets and tile floors in a building that houses the program I direct at USF. I could not be more pleased with the excellent work he performed. I would recommend him to anyone who is interested in hiring someone with the highest personal standard of excellence. Used this company for carpet cleaning and title cleaning. They were very responsive, provided an accurate estimate and performed the work with a high level of quality service and at a competitive cost, I also very impressed with the equipment available to perform the task. This company provides a value service. Would recommend to anyone.